We brought our girls to watch The movie, A Christmas Carol (2009) on Friday night, they totally did not enjoy the movie. Right from the beginning, the face of the bitter and miserly old Mr Scrooge is not pleasant to them, there came the Ghost of the Christmas Past, Present and Yet to Come scared the heal out of the kids. Just a few minutes after the movie has started, Pearl asked to go home. Crystal covered her face under her daddy's arm and slept almost throughout the movie just to let the time past. Pearl only watched those pleasant scenes when I told her no more scary ghosts, other times she covered her ears and used the jacket to cover her face most of the time. The moral of the story for the movie is good, however, the kids would prefer not to watch it due to the scary ghosts scenes. When I asked Crystal what does she think of the movie, her replied was, " Not nice, made my mind full of *momok* (ghosts) now". Luckily she was able to sleep because she woke up early to attend her introductory class in the morning, she was very tired and sleepy that night. 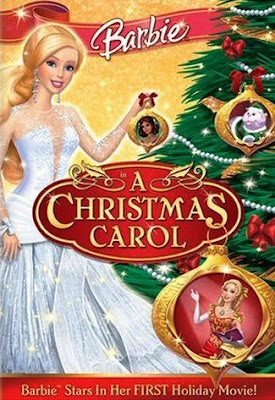 Crystal & Pearl were fascinated with the Barbie in a Christmas Carol which was released on 4th November in 2008. We thought they will be delighted to watch the newly released Christmas Carol, instead, it's was a very disappointing movie outing. The stories of these two movies are similar. Barbie in a Christmas Carol is definitely merrier in comparison. The Christmas Ghosts characters are not that scary thus acceptable by the kids. Have you watched "The Blind Side" played by Sandra Bullock? A most recommended movie for family this holiday season. I was so touched by the story(a true story). 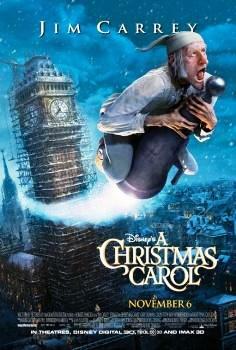 I think my daughter would be spooked by Jim Carrey as Scrooge too. She does love Barbie though!